**** Newly renovated kitchen and Family room. Come see the new open living space. Renovation completed on October 30 2018. Please see the updated photos. 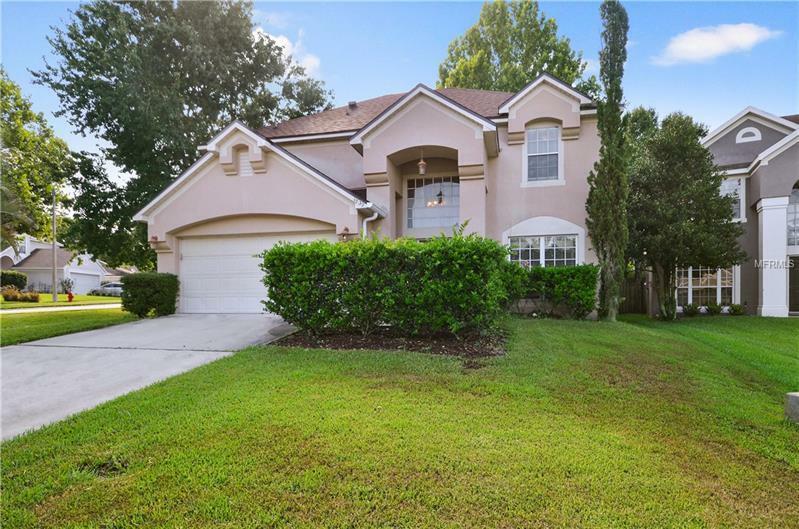 Beautiful community located in the heart of Lake Mary. Welcome home to Huntington Pointe. From the moment you enter this two story 3 BEDROOM (with a loft that could easily be made into a 4th)/ 2.5 BATH single family home you are drawn in with VOLUME CEILINGS and lots of natural light. The 2142 sq ft OPEN FLOORPLAN features both formal living and dining rooms a 2 car garage and loft OR 4th BEDROOM. Perfect for entertaining the sprawling EAT IN KITCHEN has beautiful wood cabinetry granite countertops and bar. The Master Bedroom Suite boasts dual sinks JACUZZI TUB and walk in closet. Enjoy the outdoors with a screened in porch off the kitchen and large backyard. BRAND NEW ROOF 2017 New interior paint updated appliances and an AC that is only 2-4 years old. Conveniently located to I-4 shopping and dining. Home is only HALF A BLOCK from the community pool tennis courts and playground. Zoned for LAKE MARY SCHOOLS! !